As the first month of the year passes we get ready for the entry of the greatest month. The month that gave birth to George Washington, Abe Lincoln, Babe Ruth, Bob Marley, Aaron Burr, Chris Rock, Garth Brooks, Leontyne Price, Langston Hughes, Farrah Fawcett, Nina Simone, Chloe Caldwell (my grand daughter) and of course, yours truly. Of course, my view is bias, but for once a year I think I am entitled to gloat on the greatness of my birth month. I am excited about the New Year and our plans to take our services to the next level. To start with I want to welcome Pam Devata back to the Legal Challenge column. Be sure to check out this month's question to see if you are still on top of your game. We are also bringing back The Background Bistro column which will feature a personal interview with top leaders of suppliers to the background screening industry. We've kicked off the series with Shane Long, the President of deverus. The Inside Washington column returns with meaningful insights on what is happen in our nations' capital to give you the inside scoop on Washington happenings that impact the background screening industry. In November we piloted a Special International Edition of The Background Buzz and we really would like to know your thoughts about it. Click here if you missed it. We are interested in knowing if you think we should continue to publish the special edition on a quarterly basis? Do you think this is something we should continue with? We would love to have your comments or even just a thumbs up or thumbs down. Soon we will also be re-launching www.BackgroundScreeningVendors.com as another portal to promote our Platinum Members in PreemploymentDirectory.com and a new site www.BackgroundScreeningExperts.com which will feature 'thought leadership' and industry information. 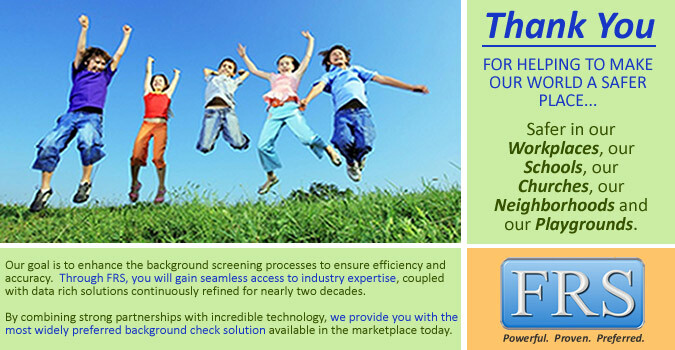 Reservations for the 2013 Background Screening Industry Buyers Guide are now open to all our Platinum Members. Want to have your company message delivered to more than 20,000 Human Resource Managers? Want attendees at the SHRM Annual Conference, the worlds' largest Human Resource trade show, to get your company's information? We have added two new sections to the 2013 Buyer Guide: Drug Testing and E-verify & Immigration Services. Submit your reservation form now to get the best position for your firm. Go here to access the Advertising Reservation Form. Anybody familiar with BackgroundCheckPriceQuotes.com and have some information to share about the service? If you are one of their vendors we would like to interview you for an article we are working on. Please email me if you are interested in participating. We also would like to pause for a moment and sincerely thank all of our 2012 advertisers and of course, our subscribers. It was a great year and we are looking at having even a better year in 2013. Thanks for being with us and stay safe until next time. P.S. - Tajik is the primary spoken language in Tajikstan. One of the longest held axioms in social science is, "The best predictor of future behavior is past behavior." Over the years many employers have increasingly relied upon criminal background checks as the principle strategy used to screen out potentially risky hires from the workforce. The problem is, as expressed by another axiom of behavioral science, namely, "People often make bad decisions early in life." These bad decisions, which they later regret, usually are not permanent. People can recover, rehabilitate themselves, and turn their lives around. In making hiring decisions, Richard C Hollinger, Ph.D. states that "find ourselves at the horns of a dilemma. Most people who are convicted of a crime, especially property offenses, will never offend again and not become a threat to society. The problem is that we do not have very good tools to predict who will be successfully rehabilitated and who will offend again. As such, most employers, on the advice of legal counsel and risk management, choose to err on the conservative side of this question. This means, if a person has been convicted in their past, we generally exclude these individuals as candidates for employment forever. The net effect of this policy is gross discrimination. This is especially true for those who have used drugs, stolen anything, and who are male minorities, particularly true for African American males." "The decision to sell the screening business came after a careful review of the needs of the business and the strategic goals we have in place," said Mark Kelsey, CEO, LexisNexis Risk Solutions. "While the screening business has been a significant offering within the LexisNexis portfolio, there is greater long-term opportunity for the business with an organization like First Advantage, which is focused on bringing background screening solutions to the marketplace." According to a new CareerBuilder study, 69 percent of employers report that their companies have been adversely affected by a bad hire this year, with 41 percent of those businesses estimating the cost to be more than $25,000, and 24 percent saying a bad hire cost them more than $50,000. "Whether it's a negative attitude, lack of follow through or other concern, the impact of a bad hire is significant," says Rosemary Haefner, vice president of human resources at CareerBuilder. "Not only can it create productivity and morale issues, it can also affect the bottom line." Twenty-six percent of employers say they weren't sure why they made a bad hire and that sometimes you just make a mistake. The rate of misrepresentation of education claims on resumes, calculated semi-annually as the Liars Index®, fell back again in the second half of 2012, declining to 14.00 percent, the lowest semi-annual calculation in four years. The rolling average for the last two years moderated to 20.75 percent, the lowest rate since mid-2011. There have been noticeable press reports over the past year regarding misrepresentations of academic credentials. When attention is drawn to cases where candidates' education claims do not match up with the school record, seekers may be inclined to correct the record on their resumes. But when the CEO of a major public company fails to correct the firm's public announcement of education credentials, people will take notice and wonder what other career facts may need to be verified. Reprinted with permission of Jude M. Werra & Associates, LLC. All right reserved. Many companies are now looking to add media screening when hiring at the executive level. Media screening is a comprehensive search through various databases to access thousands of news sources including newspapers, trade publications, professional journals, articles, transcripts, etc. The results of this search can include award nominations and other achievements by the applicant, community and industry association involvement, business and job disputes, references to criminal activity, or other potentially negative information. It is important to note that media screening is not the same as social media screening. Media screening practices go beyond what the potential employee shares with you during the interview but don't cross the line into the "personal" aspect of social media checks. Media searches can complement your background screening efforts by providing information about incidents or investigations that may not be reflected in official records and can also highlight the positives about an individual that might not come through in the interview process. Employers may want to give more weight to information that has been "published" versus what has been "posted." A KCTV5' investigative reporter followed a Kansas City family as they have moved from one rental home to another in the Kansas City area. And each time, they left the rental home trashed. Reports were received about the deplorable conditions and extensive damages caused by the family being tracked. In 2010, the Sibell family rented a Kearney home to this famille. Kristie Sibell recounted to KCTV5 how the family caused $30,000 in damage by basically turning her house into a dog kennel. "Everything was covered in dog feces," she said.In January, Travis Matteson gave Anderson a tour inside the home his parents had rented to the Dalmans. During the tour, Matteson showed that every room was destroyed and covered in feces and filth. The conditions were so bad that both Matteson and the KCTV5 photographer who came along to shoot the conditions had fleas from just being inside. The family stopped paying rent and eventually left the house in ruin. A police officer involved in the case says most police departments across the metro offer free classes to landlords on dealing with tenants and avoiding nightmare scenarios. His advice, in the meantime, Smarker has some advice. First and foremost, he says pay a professional company to do tenant background checks. Collect all money before handing over any keys. And make sure your lease is up to date and legal for your state. The rules change over time and differ between Missouri and Kansas. A recent report by Ernst & Young detailed privacy's increasing effect on businesses in the new year. The report highlights three primary categories that the firm predicts will shape the new privacy era: governance, technology and regulation. In the past 15 years, privacy regulations have had to evolve quickly to address operational and lifestyle changes that technology has brought forth. Privacy regulators are doing everything they can to keep up, but as technology's evolution accelerates, regulators continue to fall behind. Cyber attacks, inappropriate online etiquette and the oversharing of personal information - these are just a few of the issues organizations need to navigate and regulate not only internally, but also on behalf of consumers who may not know better. The report calls on organizations and regulators to work together to shape privacy within the digital landscape and to appreciate the governance role they must play in safeguarding personal information. A recent Ponemon Institute study found the average annual cost of cybercrime was $8.9 million per year per company. The companies in the study experienced on average 1.8 successful cyber-attacks per week. The frequency of such incidents has made data security the top legal concern of 55% of in-house counsel, according to the 2012 Law and the Boardroom Study by Corporate Board Member and FTI Consulting. A plethora of federal and state laws designed to protect consumers also has helped push data protection to the top of the compliance priority list. Businesses and criminals are constantly working against each other to come up with the latest technology to thwart the other in this area. However, not all data theft is high-tech. The improper disposal of documents containing sensitive data, such as in unsecured trash containers that are accessible to the public, violates federal rules protecting consumer information against trash-diving identity thieves. Doing the right thing starts with encryption, the process of encoding information so it is unreadable to hackers. The safe harbor only applies if the decryption keys that allow the data to be viewed are not compromised. Therefore, strong key management is essential. Experts also strongly recommend encryption for mobile devices, which are easily stolen. When must the FCRA Summary of Rights be given for an employment purpose? (b) The end user must give to the consumer if adverse employment action is contemplated. (c) The end user with give it to the consumer with the disclosure and authorization form if seeking an investigative consumer report. Four Words the Fair Credit Reporting Act has Class Action Plaintiffs and Their Lawyers Repeating: "Show Me the Money!" 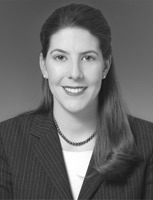 Over the past few years, the Fair Credit Reporting Act (FCRA), the federal law mandating, among other things, procedures and reporting requirements employers must follow when conducting background checks through a third party vendor, has become a hot-button employment issue, and a lucrative one for class action plaintiff attorneys. Similar to other class actions involving technical violations, like wage and hour and "seating" lawsuits, plaintiff class action attorneys have latched on to technical requirements in the law providing for statutory damages when violated. The motivation driving these lawsuits? The promise of easy money. With the potential to collect statutory damages, the possibility of punitive damages, and the ability to obtain attorneys' fees and costs, the FCRA can be a class action plaintiff's lawyer's dream. Class action plaintiffs and their attorneys have increased the filing of class action lawsuits alleging willful violations of the FCRA, and this trend is not slowing. Employers should take steps to ensure compliance with the FCRA to reduce the risk of class action claims seeking statutory penalties. Juvenile offenders can now get their criminal records expunged under a bill that received rare, unanimous agreement in the Michigan legislature. The law allows juvenile offenders to request that their records be cleared if they have three or fewer misdemeanors or one felony conviction. Prior rules allowed for the request on only one misdemeanor. Offenders will also be able to ask that their records be cleared one year after they've completed their sentence and probation, instead of the current five years. If they committed a crime that would be punishable by life in prison in the adult court system, they aren't eligible to get their record cleared. People with juvenile records often struggle with finding jobs, getting into college or entering the military due to their records, even if their records have been clean for years. "Everyone is so gun-shy on this because they think we need to be tough on crime, and it's politically correct to be tough on crime," said the law's sponsor, Rep. Joe Haveman. "But we can certainly look at alternatives if people are behaving themselves. Then they can be paying taxes instead of draining taxes." As of November 16, 2012 40 bills in 19 states and the District of Columbia have introduced or have pending in legislative session. Out of the total 41 bills, 40 address restrictions on the use of credit information in employment decisions. The total number of states that limit employers' use of credit information in employment is now eight: California, Connecticut, Hawaii, Illinois, Maryland, Oregon, Vermont and Washington. Washington enacted legislation in 2007, Hawaii enacted legislation in 2009, Illinois and Oregon enacted legislation in 2010. California , Connecticut and Maryland enacted legislation in 2011. Vermont enacted its legislation in 2012. Is A Convicted Felon Absolutely Barred From Practicing or Engaging In Any Trade, Occupation, or Profession For Which a License, Permit, Or Certificate Is Required To Be Issued By The State Of Louisiana? According to Act No. 486, which amended and reenacted LSA-R.S. 37:2950(A), a convicted felon shall no longer be disqualified, or held ineligible to practice or engage in any trade, occupation, or profession for which a license, permit, or certificate is required to be issued by Louisiana, or any of its agencies or political subdivisions, unlesssuch a conviction "directly relates to the position of employment sought, or to the specific occupation, trade, or profession for which the license, permit, or certificate is sought.". Note: This article was published in the December 2012 issue of the Louisiana eAuthority. According to an administrative complaint filed by the FTC , Filiquarian Publishing LLC, Choice Level LLC, and their CEO, Joshua Linsk, failed to ensure that the information they sold was accurate and would be used only for legally permissible purposes. The FTC also alleged that they failed to tell users of their criminal record reports about their obligations under the FCRA, including the requirement to notify consumers if an adverse action was taken against them based on a report. According to the FTC, Filiquarian claimed consumers could use its mobile apps to access hundreds of thousands of criminal records and conduct searches on potential employees. One app stated, "Are you hiring somebody and wanting to quickly find out if they have a record? The settlement order bars the respondents from furnishing a consumer report to anyone they do not have reason to believe has a "permissible purpose" to use the report, failing to take reasonable steps to ensure the maximum possible accuracy of the information conveyed in its reports, and failing to provide users of its reports with information about their obligations under the FCRA. With the emergence of new technology, legislators have filed a bevy of bills that could change the way some Texans use social media. The measures largely stem from lawmakers' concerns about privacy and safety for Texans who spend an increasingly large portion of their lives online. Helen Giddings (D-Dallas) proposal, House Bill 318, would "prohibit employers from requiring or requesting access to personal accounts of employees or job applicants through electronic communication devices." Her proposal would include personal cellphones, computers and social media accounts, such as Facebook or Twitter. Her bill would protect personal accounts of employees, but it would not apply to devices owned by a company that the employee uses to conduct business. Lawmakers in Missouri and Vermont, along with Texas, have filed social media measures this year. We are proud to introduce our new SaaS+ Enterprise Architecture that is comprised of the very latest Dell enterprise Blade Servers, a high-performance Storage Area Network, the industries fastest data networking gear from Cisco, and is backed up by one of the most complete and established cloud providers in the market. Until the introduction of our SaaS+ Enterprise Architecture, the background screening software industry was run on towers, classic rack-mounts, or even worse yet - unsecured PC platforms. These technologies were well behind the pace set by HireRight, Sterling, TalentWise, ADP, and other major competitors. Going head-to-head with them with such feeble technology solutions was almost assuredly placing you out of contention. With deverus' SaaS+ Enterprise Architecture, you now have the technology to compete with anyone in the industry in terms of Performance, Reliability, Scalability, and Security! Please go to our all new website to learn more, www.deverus.com. The National Association of Professional Background Screeners (NAPBS®) Background Screening Credentialing Council (BSCC) announced that Inquirehire has successfully proved compliance with the Background Screening Agency Accreditation Program (BSAAP) and will now be formally recognized as BSCC Accredited. Inquirehire is a leading national provider of human resources solutions that include background screening, drug testing, assessment testing, and human resources management systems. Inquirehire solutions are fully integrated and web-based to help employers manage risk more effectively while reducing cost, saving time, and improving quality throughout their hiring and overall human resources operations. Inquirehire is a founding member of NAPBS® and Concerned CRAs. For more information about Inquirehire, visit www.inquirehire.com. Imation Corp . a global scalable storage and data security company, released results of research into state data breach notification laws and associated penalties. The analysis shows that current state data breach notification laws are strikingly similar, but vary in compliance requirements for businesses, with all laws highlighting the need for companies to deploy methods for closely storing, protecting and controlling sensitive information. Imation used publicly available sites (including information obtained via the National Conference of State Legislatures ) to analyze state compliance laws in the 46 U.S. states that have such laws, as well as in Puerto Rico, the District of Columbia and the U.S. Virgin Islands. Imation created a "Compliance Heat Map" to depict the strictness of data breach laws and resulting penalties for breaches. The Compliance Heat Map provides a visual snapshot of the strictness of regulations by state, using a color scale ranging from light yellow (less strict) to dark red (more strict). "What the compliance heat map tells us is that data security needs to be at top of mind for all IT pros, as there are rules in place for nearly all states and territories and non-compliance could mean serious penalties," said David Duncan, software & security solutions marketing director, Imation. Effective January 1, 2013 the National Credit Reporting Association (NCRA) changed its name to the National Consumer Reporting Association. This is the second growth-related name change in NCRA's 20 year history. The organization was founded in 1992 as the National Association of Independent Credit Reporting Agencies (NAICRA). The name change is a response to better representation of the membership's growing business model. While a majority of NCRA's original membership provides credit reports to the mortgage lending industry, many members provide a wider range of services. A number of NCRA members work with the multi-family housing industry by providing credit reports, eviction records, and criminal background histories for landlords and property managers making rental decisions. 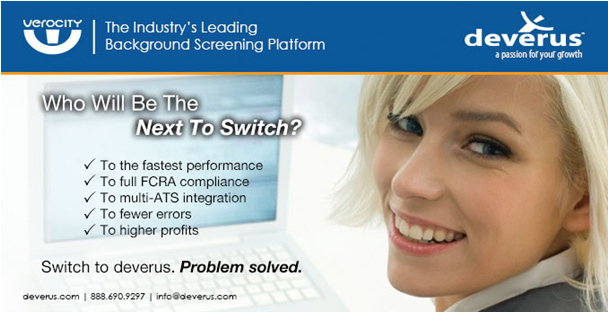 Some NCRA members also provide full service background screening. NCRA's personnel, as well as physical and web addresses will all remain the same. For more information visit www.ncrainc.org or contact the NCRA Executive Director Terry Clemans at tclemans@ncrainc.org. Researching a web page of a trade association is a good way to find industry news, vendors, or even perspective new clients. To see a list of 88 trade associations that touch on some aspect of public records, visit this BRB site. The key BRB sub pages, such as the page with the free searches at government sites have been broadly changed. The page with the free county and state sites now includes addresses, phone numbers, and home pages for courts and recorders offices, as well as a list of URLs with record searching. There are also 20+ state agencies listed for each state, plus all of their free search sites. We have recently updated other educational pages including the Articles page and the Links and Resources page. Also, did you know our State Occupational Licensing Boards page shows links to names and enforcement actions on over 5,000 occupations or business types? We go to great lengths for our subscriber clients who see the full, much deeper data "behind the wall." They see facts and subjective information you cannot find using Google. But providing the "Reader's Digest Version" of the free searchable sites to the public is our way to let you know BRB is are more than just a links list site. We receive several questions every week about the content at www.brbpub.com. Generally we are asked why does it have "x" or how come we are selling record searches. We don't. Since late 2010, this URL is owned by the good folks at Inflection, and not by BRB. This site does provide an extensive array of free public records links and it does offer excellent several record search products. But to set the record straight, if you have bookmarked brbpub.com thinking it is a BRB Publications site, it is not our site. Dayton Superior Corporation, a nationwide provider of concrete and masonry construction products, will pay $50,000 to settle a disability discrimination lawsuit brought by the U.S. Equal Employment Opportunity Commission (EEOC), the agency announced. The EEOC charged that Dayton Superior Corporation discriminated against Chassity Brady, a quality control lab technician in its Braselton, Ga., facility, by unlawfully firing her in August 2011 for taking medication that had been prescribed by her doctor for her bipolar disorder. While at work, Brady suffered an adverse reaction to the prescribed medication and the employer required her to submit to a drug test. Although the only substances found in Brady's system were the medications prescribed to treat her disability, the employer immediately terminated her after the test results were revealed. "The EEOC filed this case because the evidence indicated Ms. Brady was terminated because her disability required her to take medication," said Robert Dawkins, regional attorney for the EEOC's Atlanta District Office. "Making employment decisions on the basis of stereotypical assumptions about disability-based medications is one of the problems the ADA was designed to combat." A well-written, comprehensive drug testing policy is the cornerstone of any successful program. A good policy accurately reflects a company's drug testing objectives and clearly articulates prohibited behavior as well as the consequences for violations of the policy. It also describes who is subject to drug testing, under what circumstances testing will occur, and how it will be conducted. Some state laws require employers to have a written policy in place and mandate the content of that policy. Additionally, some states require employers to make the policy available to employees and job applicants. Not all states have drug testing laws and some that do, do not have specific policy content requirements. Employers are well advised to review the state laws that apply to them to ensure that their drug testing policies meet all applicable legal requirements. Even if a state's drug testing law does not include a dedicated section on policy content, the law itself really dictates what should be included in a workplace drug testing policy. No company should conduct drug testing without a policy in place. It is imperative that a policy expert reviews a policy at least annually to ensure that it still reflects the company's objectives and complies with all applicable state and federal laws. Medical costs and insurance premiums are on the rise. Oregon has recently announced that it will be raising base workers' compensation premiums from 2.8 cents to 3.3 cents per hour (the amount required before an insurance provider's expenses and profits are added). This trend holds true in other states. After a dip in California, rates have been on the rise for the past few years. While not all states are experiencing an increase in workers' comp rates, it may be beneficial for employers to be up-to-date on voluntary state drug testing laws that provide premium discounts. Some state laws provide a fixed discount like 5%, while others provide a rolling discount ranging from 4% to 7.5%. As of January 2013, 11 states have voluntary drug testing laws that apply to non-industry specific employers. Some of these states have created criteria that insurers must observe, while others have left it up to insurance providers to determine and enforce criteria. It may be advantageous for employers to know all they can about these voluntary state drug testing laws that offer premium discounts. A carefully constructed drug testing policy can prove not only a valuable resource but also a great way to save money. Employers are encouraged to consult each state's law to ensure compliance. New state medical marijuana bills are starting to roll out as the legislative season gets underway. In Arizona, the state Court of Appeals ruled that the Yuma County sheriff must return marijuana seized from a California medical marijuana patient. The court said that the seized medical marijuana must be returned because Arizona's medical marijuana law allows people with authorizations from other states to legally possess marijuana in Arizona. Also, state inspectors gave the okay to the state's first commercial cannabis kitchen. The kitchen, Heavenly Harvest, provides edibles for patients of the Green Halo dispensary in Tucson and plans to supply other dispensaries as they open. In California, San Diego Mayor Bob Filner stepped up for medical marijuana by halting the prosecution of dispensaries there, however; federal prosecutors say they are still going to enforce the Controlled Substances Act. Marijuana bills have been introduced in Illinois, Kansas and New York, and a recent poll in New Hampshire found that 68% of voters support a medical marijuana law in the state. Utah has a voluntary drug testing law. Employers that wish to comply may benefit from limited legal protection. Take a look below to learn more about Utah's voluntary law and the legal protection it provides to employers that comply. No cause of action arises in favor of an individual against an employer that has complied with the state's voluntary drug testing law, unless the employer relied upon a false result. In the case of a false result, it is assumed the test result is valid if the employer has complied with the state's voluntary drug testing law. An employer is not liable for monetary damages if his or her reliance on a false test result was reasonable and in good faith. Before joining the background screening industry Shane, who has an engineering background, worked on SaaS in supply chain management and digital media distribution. He joined deverus because he not only saw an immediate connection with his my previous SaaS experiences, but also saw an opportunity to join a firm that was experiencing phenomenal growth. Shane commented that what he enjoys most about the background screening industry is the personal nature of the entire process. "Our customers are doing this because they have a passion for making the workplace a better, safer place and know that the work they are doing is important," said Shane. "There is a certain responsibility and special partnership that exists between deverus, our partners, and the final end-customers (corporations) to protect their employees." He stated that the mission and vision of deverus is to play a crucial role in setting business processes and technology standards for the Background Check Industry. He further added that their focus is on being the most trusted resource of companies around the world - providing the right resources and strategies for diversification, competitiveness, and growth. "We provide our partners the most powerful, intuitive, and flexible Background Screening Software solution in the industry with Verocity and deverus will continue to support companies of all sizes and industries." However, he noted that his primary focus going forward is providing their partners with the tools to provide services for the Fortune 5000. "For example, we have more ATS (Applicant Tracking Systems) integrations than any other software provider. With our unique Hubworks architecture, we can bring up a new integration with a company with 10,000+ employees in days, not months. Recently, Oracle has partnered with us and we are proud to announce we are part of the worldwide Oracle Partner Network." "The deverus Infrastructure is something that we have invested in heavily within the last year to provide the industries most reliable, secure, and highest performance system. Our SaaS+ Enterprise Architecture is comprised of the very latest enterprise Blade Servers, a high-performance Storage Area Network, the industries fastest data networking gear in our ISO-9001 colocation in Austin, and is mirrored and backed up by one of the most complete and established cloud computing providers in the market, Amazon." "We thrive on doing tailored world-class solutions for our partners. Many SaaS companies tend to shy away from this, but Verocity was actually designed for this type of flexible and highly configurable approach to provide the right solution, not just the closest solution." He emphasized that deverus is completely committed to being a PARTNER to their customers and never a COMPETITOR. In response to my favorite question: If you could look into a crystal ball, lets' say ten years down the road, what do you see happening in the background screening industry? Shane sees, "more automation and greater integrations across the board to improve efficiencies. The key will be to have the best delivery model, which we firmly believe is SaaS for the Background Screening Industry that is fully compliant and moves data accurately and rapidly throughout the process. I do see some really great opportunities for Specialized and Mid-Sized Background Screening Companies to excel with customer service focused models where some of the "Big 6" Screening Companies are honestly failing." On a more personal note, he just finished reading the book "Guns, Germs, and Steel" by Jared Diamond, which he describes as a wonderful take on the evolution of human societies and the history of the world. He also indicated that the person he would have really liked to meet, given the opportunity, would have been Ronald Reagan. "I would think 15 minutes with him would be priceless. Ending the Cold War, with 'peace through strength' while at the same time really uniting and revitalizing America. Yes, he would be my choice." Private-sector employment increased by 215,000 from November to December, on a seasonally adjusted basis. Service-providing jobs increased by 187,000. Among the service industries reported by the ADP National Employment Report, trade/transportation/utilities services had the largest gain with 53,000 jobs added over the month. Professional/business services added 37,000 jobs and financial activities added 14,000 jobs in December. Mark Zandi, chief economist of Moody's Analytics, said, "The job market held firm in December despite the intensifying fiscal cliff negotiations in Washington. Businesses even became somewhat more aggressive in their hiring at year end. Most encouraging is the revival in construction jobs, although the December gain was likely lifted by rebuilding after Superstorm Sandy. The job market ended 2012 on a more solid footing." The report is based on an anonymous subset of 406,000 ADP clients in the U.S. which employ more than 23 million U.S. workers. The Conference Board Employment Trends Index™ (ETI) increased in December. The index now stands at 109.02, up from 108.19 in November. The December figure is 3.1 percent higher than a year ago. "After posting a significant increase in December, following an upward revision in November, the Employment Trends Index is improving," said Gad Levanon, Director of Macroeconomic Research at The Conference Board. "However, if economic activity continues to expand slowly in the first half of 2013, it would be difficult for employers to maintain the current rate of job growth." Happy New Year in Washington! It's January, and with the beginning of the New Year, this January also brings the beginning of a new Congress (the 113 th) as well as President Obama's inauguration for his second term. The new Congress brings new bills and new members, including Consumer Financial Protection Bureau (CFPB) architect and now Senator Elizabeth Warren (D-MA). More new faces in the Senate may be on the way shortly, with President Obama having nominated Senator John Kerry to be Secretary of State. Senator Kerry is widely expected to be confirmed, and he could be succeeded in the Senate temporarily by former Congressman Barney Frank and permanently by Congressman Ed Markey, both of whom have long been active on FCRA, background screening and other privacy and consumer protection measures. In fact, then-Representative and Chair of House Financial Services Committee, Mr. Frank led the charge on the Dodd-Frank Act which created the CFPB. The new Congress is just getting underway, however, and while background checks are on the agenda, its background checks for gun sales, not employment or tenant screening that is dominating the discussion in Washington this month. With that in mind, the primary focus of this first Washington Report of the New Year will be the Federal Trade Commission (FTC). On January 7, 2013, the United States Department of Justice (DOJ) announced that Centerplate, Inc. (an international hospitality company) had agreed to pay a $250,000 civil penalty to resolve allegations that it violated the anti-discrimination provision of the Immigration and Nationality Act (INA). Specifically, the DOJ alleged that Centerplate engaged in a pattern or practice of treating work-eligible non-citizens differently from U.S. citizens in the employment eligibility verification process by requesting that non-U.S. citizens show specific documents to demonstrate work eligibility. In addition to the civil penalty, Centerplate also agreed to fully compensate any victims for lost wages. This is reported to be the third largest settlement to resolve alleged violations of the INA's anti-discrimination provisions, which have been in effect since 1986. Employers should always permit employees completing the Form I-9 (whether initially or as part of an update or rehire) to select and show any acceptable document, or combination of documents, to demonstrate their identity and work eligibility. Because the list of acceptable documents can change, it is important to ensure that the form being used is always the most current edition. There are times when the simplest of tasks can create the biggest of problems for employers. We have been seeing such a phenomenon occur over the past three to four years in the area of I-9 compliance. I-9 audits, or raids, no longer encompass searches for illegal workers with the goal of deportation. Now, they heavily focus upon the Form I-9 itself, as well as the employer's role in employing or retaining illegal workers. Both state and federal governments view employers as the "root cause of illegal immigration." Auditors evaluate these forms, seeking strict compliance. Indeed, on the federal side, the U.S. Immigration and Customs Enforcement agency guidance to its field auditors emphasizes using the I-9 audit process, inter alia, to "advance criminal cases." As strict compliance is not often the reality, the government has issued a record number of civil and criminal penalties against employers who fail to properly complete, maintain and, where necessary, update I-9 forms. Employers also face liability for employment of illegal workers. Plainly, our current administration has shifted the focus of immigration in the employment sector completely. Instead of seeking to remove illegal workers from our U.S. companies, the federal government is focused upon punishing employers for their failure to comply with U.S. immigration laws. Punishment often comes in the way of heavy fines. The criminal statue also threatens imprisonment. As of November 30, 2012, a total of 20 states require the use of E-Verify for at least some public and/or private employers: Alabama, Arizona, Colorado, Florida, Georgia, Idaho, Indiana, Louisiana, Michigan, Mississippi, Missouri, Nebraska, North Carolina, Oklahoma, Pennsylvania, South Carolina, Tennessee, Utah, Virginia, and West Virginia. Eighteen of these requirements were through legislation and two, Florida and Idaho, by executive orders. Two states, California and Illinois, currently limit the use of E-Verify. Other states are exploring alternatives to E-Verify or identifying safe harbor provisions. North Dakota is the only state to mandate a Legislative Management study on the feasibility of mandating the use of E-Verify. See the state chart below and state by state summary for more information. CareerBuilder's first annual job forecast for the 10 largest world economies tells a tale of both confidence and caution. Brazil and India are voicing the greatest confidence with more than two-thirds of employers in these markets planning to add full-time, permanent headcount in 2013. Italy is the least optimistic, housing more employers who expect to decrease staff than those who expect to hire. "The job outlook presents varying degrees of growth and deceleration as governments and businesses strive to rebuild and expand and deal with large deficits," said Matt Ferguson, CEO of CareerBuilder. "Hiring activity in the BRIC countries (Brazil, Russia, India and China) is projected to be significantly higher than other markets while recruitment in Europe remains sluggish as leaders struggle to resolve a debt crisis that has global implications. The overall hiring picture is improving, but companies will remain watchful as they navigate headwinds and maneuver through somewhat precarious economic terrain." The survey, conducted by Harris Interactive© from November 1 to November 30, 2012, included more than 6,000 hiring managers in countries with the largest gross domestic product. Cases involving employer drug testing and employee privacy are set for hearings in two Canadian courts. First, the Alberta Court of Appeal will hear from an energy company that is arguing against an injunction preventing the company from implementing random drug testing of employees. The Supreme Court of Canada will then hear a case involving a company's plans to have employees submit to mandatory breathalyzer tests. Unlike the United States, where workplace drug tests are relatively common, Canada has had little experience with randomly administered on-the-job tests. Both companies argue the testing improves job safety, but others argue it infringes on employees' right to privacy. Ed Secondiak, president of ECS Services - which has designed drug testing programs for large and small corporations for 18 years - says there are ways to ensure employees' rights are respected while still reducing the risk of on-the-job substance abuse. Employers, safety companies and privacy experts, will watch each case closely as the courts try to find a balance between safety on the job and an individual's right to privacy. A St. John's-based taxi company has said that provincial privacy law is preventing it from accurately checking employees' driving history. A company representative said his organization can mandate that drivers produce a certified driving record and ask drivers to update any changes to their record, but beyond that, provincial law prevents the company from further investigation. "They don't give us the power to phone in motor vehicles and ask for a particular person's driver's license, if it expired or not," the representative said. Drivers can give written permission to have their records checked, but this would cost companies thousands of dollars every month. The taxi company is calling for a return to the old system, when a city inspector licensed the drivers. Unfortunately for the cab companies, however, City Hall is not interested in going back. The PRC Standardization Administration issued a national standard entitled the "Information Security Technology - Guideline for Personal Information Protection within Information System for Public and Commercial Services" (the Guidelines) that will take effect on February 1, 2013. The Ministry of Industry and Information Technology (MIIT), the regulator of telecom industry in China, first proposed the Guidelines in January 2011 for public consultation. The Guidelines were a response to numerous incidents involving the misuse of personal information in China. Although the Guidelines were proposed by the MIIT and implemented as a national standard, they are intended to regulate all organizations and entities on the protection of personal information. The Guidelines are only applicable to any processing of personal information that involves the use of an "information system" (e.g. a computing system). The Guidelines therefore are quite limited in scope when compared to usual data protection law whereby no distinction is drawn on whether an information system is involved or not. Under PRC law, the Guidelines do not have the force of law because there are no penalties in the event that they are not complied with. The growth in the market for specialist data risk insurance will continue if proposed changes to rules governing the international transfer of personal information are implemented, an expert has said. There is ongoing debate over proposed reforms to the EU's existing data protection law framework ever since the European Commission outlined formal proposals on the issue in January 2012. The Commission set out a draft General Data Protection Regulation which would establish a single data protection law that would apply across all 27 EU member states and to companies that wish to process the personal data of EU citizens. MEP Jan Philipp Albrecht's recent report on the Commission's draft regulation suggests companies seeking to process data in countries outside of the European Economic Area that have not been designated as meeting EU standards should have to provide "financial indemnification" to individuals for data breaches. The need for insurance products "to transfer risk for the data processor or controller has grown," said Ian Birdsey, an insurance law and data risk specialist. "While a standard professional indemnity policy may have been considered adequate five years ago, both companies and insurers have appreciated the need for specialist insurance products dealing with the myriad data risks." Data processors will be able to make use of Binding Corporate Rules (BCRs) for processors effective 1 January 2013 in order to facilitate international data transfers. This way of ensuring privacy in international transfers will bring benefits to both processors and controllers. Once a BCR has been approved, there is no need to negotiate the safeguards every time a contract is entered into. The European Data Protection Authorities, assembled in the Article 29 Working Party, adopted an opinion on cloud computing in which they analyze relevant data protection issues for cloud computing customers and cloud computing service providers operating in the European Economic Area. According to the Opinion, cloud computing can generate significant benefits in both economic and societal terms. However, the rise of cloud computing also represents a challenge to data protection. The main risks identified include: lack of control over personal data, and insufficient information regarding how, where and by whom data is being processed. The Opinion concludes that organizations wishing to use cloud computing services should always conduct a comprehensive and thorough risk analysis. Clients should choose a cloud provider that guarantees compliance with EU data protection legislation. The Opinion states that any contract between the cloud computing customer and the provider should include sufficient guarantees in terms of technical and organizational measures. Companies with employees in Germany should pay attention to data privacy legislation that is likely to affect their operations this year because the German government's ruling coalition has unexpectedly announced that it intends to soon pass employee data protection legislation. The legislation has been highly debated since it was first released in 2010. The revised bill will likely be consulted in the German parliament in late January, and the law would take effect six months after enactment. The new provisions would impose additional restrictions on employers; provide little clarity about which data processes are permissible; and will likely remain in effect even after the passage of the EU's proposed Data Protection Regulation. And in light of the six-month implementation deadline, employers in Germany will be under considerable time pressure to prepare for compliance. The proposed law would also require most companies to change existing HR data privacy compliance programs and policies. Employers violating the bill's requirements would be liable for fines of up to 300,000 Euros per infringement. And employees will be able to claim damages for alleged infringements and works councils can apply for injunctive relief. Rocco Panetta of Panetta & Associati reports that the Italian data protection authority (Garante) has established three resolutions in the field of international data processing and transfer. Panetta, who is the Garante's former head of legal, notes cooperation between data protection authorities is increasing when it comes to enforcement profiles. In one case, a data subject made a claim against Italian company "Badoo" for publishing fake profiles by a third party on a UK social network. New Zealand Privacy Commissioner Marie Shroff says proposed welfare rules that require beneficiaries to take drug tests are potentially illegal. According to Shroff, a provision contained in the Social Security (Benefit Categories and Work Focus) Amendment Bill that would require job candidates to take drug tests upon employers' requests could violate employees' privacy. Those who refuse to take the test, or repeatedly fail, will have their benefits cut or suspended. Currently, job candidates can decline to take a test without penalty. Job candidates "are not likely to challenge the legality of a drug test, as refusing to give consent would leave them at risk of having their benefit cut," Shroff said. The new welfare regime would not even require employers to demonstrate drug testing was necessary, or even legal. The Human Rights Commission said in its submission that drug tests and sanctions had "human rights implications" and would be difficult to implement. The European Commission has formally recognized the adequacy of the data protection regime in New Zealand, making it the first country in the Asia-Pacific region to receive such recognition. The EU Justice Commissioner noted the importance of high standards of data protection in boosting international trade; the annual value of trade in goods and services between New Zealand and the EU is €6.7bn and €3.1bn respectively. "The decision should be helpful to New Zealand businesses that trade with Europe or hope to do so as it substantially simplifies compliance with data protection requirements," said Assistant Privacy Commissioner Blaire Stewart. "Global interoperability of privacy regulation has the twin underlying goals of creating a trustworthy environment and avoiding unnecessary barriers to cross-border information flows." Australia is the only other country with a formal agreement with the EU, however this is in respect of the transfer of Passenger Name Records (PNR) only. Personal data may now be transferred from EU and EEA countries to New Zealand without the requirements of any further safeguards. The Commission's decision establishes that all New Zealand companies in all circumstances can meet those European requirements. Employers are becoming more aware of the dangers of drugs and alcohol in the workplace as well as the benefits of testing for them. Recent statistics show that workplace drug testing in New Zealand has almost doubled in the past 12 months, particularly in the agriculture, construction, transportation, food processing, retail, and government sectors. Rick Lewer, the managing director for Drug Testing Services' Manawatu division, says the growing popularity of workplace drug testing is the result of employers increasingly recognizing the benefits of testing. "It should reduce workplace accidents, lower staff turnover, increase productivity, and even raise staff moral," said Lewer. He also noted that workers who test positive for drugs and alcohol are almost four times as likely to be involved in workplace accidents. While the number varies from company to company, 10 to 20% of employees will test positive, with marijuana being the most common drug present, followed by methamphetamine. Most companies currently use a three-pronged approach to deal with a staff member who tested positive: warning, rehabilitation plan and/or dismissal. Random testing may be carried out only where it is expressly provided for in a company's alcohol and drug policy. The Ministry of Communications and Information (MCI) set up in January 2013, the Personal Data Protection Commission (PDPC) and a Data Protection Committee to administer and advise respectively on the Personal Data Protection Act (PDPA). Charmian Aw, Associate Director at Drew & Napier LLC, said "It is widely anticipated that Singapore's first baseline personal data protection law will not only serve to protect consumer interests, but also improve Singapore's economic competitiveness through strengthening consumer confidence in the emerging data management industry." The PDPA was passed in October 2012, however there is a staggered transition period for businesses to adjust their compliance practices in light of the new law. Despite some initial compliance costs involved, the law is anticipated to strengthen Singapore businesses in the long run. Amendments to the Data Protection Law and Data Protection Regulations, introduced by the Dubai International Financial Centre (DIFC), came into force in December 2012. DIFC Law No. 5 of 2012 (the Law) seeks to provide greater legal certainty by addressing a number of deficiencies and practicalities, which have been identified since the establishment of the DIFC in 2004. The Law applies to all companies operating within the DIFC Free Zone. There are a number of significant changes that bring the DIFC's Data Protection Law in line with international best practices including: the introduction of administrative fines which were absent under the 2007 law and the introduction of a 'duty to notify change'. A Data Controller must notify the Commissioner of Data Protection of any changes to the particulars of the Data Controller's notification to the Commissioner and failure to do so is a contravention of the law. The Law is designed to balance the legitimate needs of businesses and organizations to process personal information with the importance of upholding an individual's right to privacy, and it is still unclear whether the Commissioner of Data Protection plans to increase data protection compliance. New Year's Resolution: Stop Voluntary Budget Cuts! According to the Information Commissioner's Office (ICO), the National Health Service (NHS) and the local government are two areas where there are significant and widespread data protection compliance concerns. The ICO has levied monetary penalties for data security breaches by the NHS totaling £945,000 since the penalties were first introduced in April 2010. This is effectively a £1 million budget cut that could have been avoided. Public organizations have unique data protection responsibilities and challenges, particularly as personal information is central to delivering their services. Indeed, data protection and information governance will become even more key to their mission as services evolve to deal with remote access and multiple platforms. Getting the right data protection measures in place avoids the distraction of data protection breaches and wasted costs of monetary penalties. At the same time, it contributes towards an organization that can use information effectively, as well as lawfully. Some key action points for effectively protecting personal data and avoiding fines include: conducting a data protection audit to analyze risk, adopting both physical and electronic data security methods and having appropriate policies, procedures and practices in place with a clear line of accountability. According to a recent report by the All-Party Parliamentary Group on Drug Policy reform, the use of drugs should be decriminalized with the least harmful substances regulated and sold in shops. The report, Toward a Safer Drug Policy: Challenges and Opportunities Arising from 'Legal Highs', said that the 40-year-old Misuse of Drugs Act needs fundamental reform because it criminalizes young people for drug use, leaving them with reduced life prospects, while creating profits for illegal drug dealers. Instead, "low risk" drugs should be handled like cigarettes, with legal sales and warning labels, while higher risk drugs should be decriminalized. The report also called for the classification of drugs to be removed from the realm of politics and instead be based on scientific evidence. This is the third report in recent months to call for fundamental changes in British drug policy and a move away from a prohibitionist approach to a public health one. Could Relaxing Criminal Checks Aid Recruitment? As the Home Office prepares an appeal against a ruling that would significantly relax the rule around disclosure of an individual’s criminal records when applying for a job, Recruiter hears a more open attitude to criminal history could facilitate recruitment.